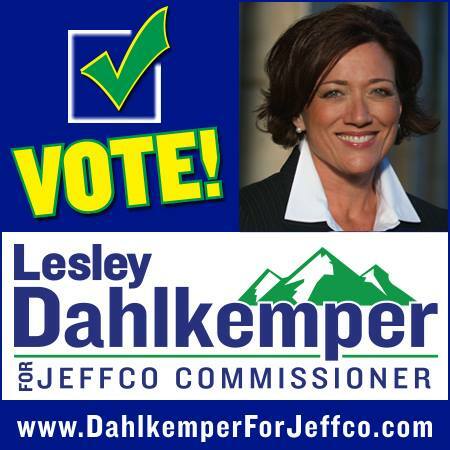 Vote Lesley Dahlkemper for Jefferson County Commissioner! Our family has called Jefferson County home for 23 years. It’s a great place to raise a family, start a business, enjoy the outdoors, or retire. 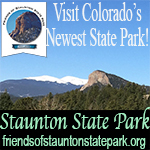 As the gateway to the Rockies, Jefferson County offers a quality of life that’s unparalleled. As members of this community, our values and our choices directly impact our quality of life – and the lives of future generations. I’m running for county commissioner because I believe in improving lives and building opportunity in our community. I’ll work to enhance our quality of life, protect our open space, attract good jobs, address housing and transportation, and promote safe, livable communities. You can count on me to listen to diverse perspectives and find workable solutions. 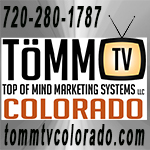 My 30-year career as a former award-winning business owner, journalist, and nonprofit executive has been devoted to improving outcomes in our community and Colorado. What does a County Commissioner Do? Three county commissioners, each one representing a different district, serve as the governing body for Jefferson County. Voters elect commissioners countywide for up to two, four-year terms. They work with staff to identify the county’s budget priorities and set policy related to land use, economic development, open space, human services, and more. Only one commissioner seat (District 3), representing south Jeffco, is up for election in November 2018. 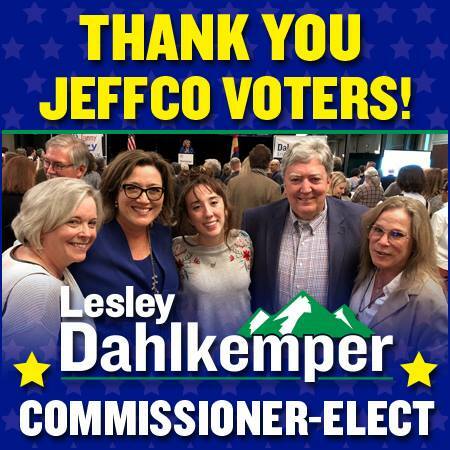 Replied by ldahlkemper on topic Vote Lesley Dahlkemper for Jefferson County Commissioner! Update: Meet & greet in Pine from 3:30-5 p.m. is a go! We're postponing Conifer due to weather. Stay tuned for updates! If you need a ride to your voting location on November 6, both Uber and Lyft are providing free or discounted rides. 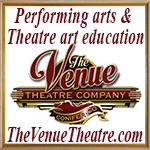 Tuesday, October 16 – 6-8 p.m.
Friday, October 19 – 7:15-9 a.m.
Saturday, October 20 – 10:30 a.m.-12 p.m.
Monday, October 22 – 9:30-10:30 a.m.
Monday, October 22 – 5:30-7 p.m.
Tuesday, Oct. 24 – 6-8:00 p.m.
*These will be formal, question and answer forums with the county commissioner candidates. 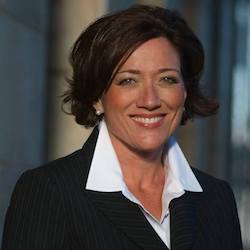 Replied by ScienceChic on topic Vote Lesley Dahlkemper for Jefferson County Commissioner! Jefferson County Friends - I have never been in a position to call a candidate running for political office a friend, but this year is different. 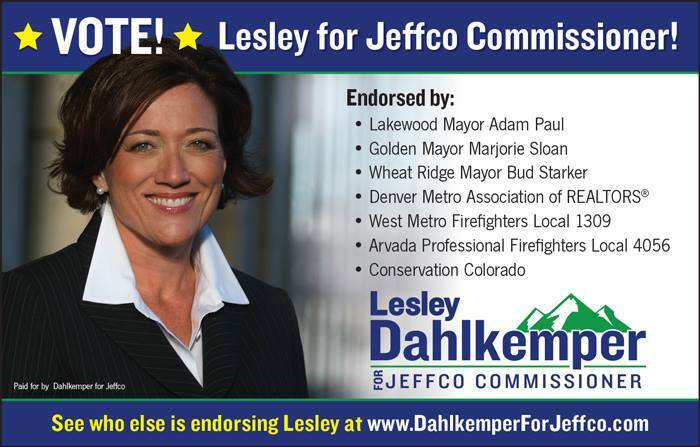 It is my true honor to recommend Lesley Dahlkemper as Jefferson County Commissioner in the upcoming election. A couple of weeks ago I had a conversation with a neighbor, Katie, who noticed the Lesley Dahlkemper sign in our front yard. In 1992, Katie was in 6th grade. Lesley was her mentor through the Colorado I have a Dream program. Katie has since graduated from the Colorado School of Mines and now works with a local utility company while raising two young kids. Talking with Katie made me realize that Lesely has been making an impact in our community for many more years than the ten short years I have known her. Lesley is and has been an integral part of many organizations I love – including the Boys & Girls Club, CASA and The Action Center. I have been blessed to know Lesley as a strong supporter of The Arc of Jefferson County (I met her for the first time at one of their community picnics), parent in our son’s elementary school, PTA president for our local middle school, and Jefferson County School board member. I remember watching in amazement during many contentious school board meetings where Lesley kept her composure when most people would have been broken. She was the true picture of grace. After one particularly rough meeting that went until the wee hours of the morning (long after I was in bed), I sent Lesley a gift card for a dinner out. While I did not think a thing of my gesture, Lesley promptly returned it to me explaining she was not able to accept gifts. It might seem insignificant to some, but that kind of integrity is gold to me. 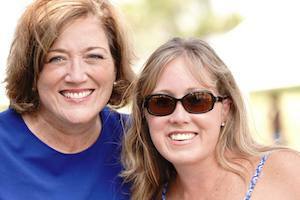 Twenty six years ago, Lesley was not on the campaign trail when she was mentoring Katie. She was doing what she has done all her life. She was following her passion to serve her community in meaningful ways and make a difference. She still does. Lesley’s leadership and heart to serve are second to none. Jefferson County is already a better place because of Lesley. Until November 6th, I can only imagine what it will be like with her as County Commissioner! 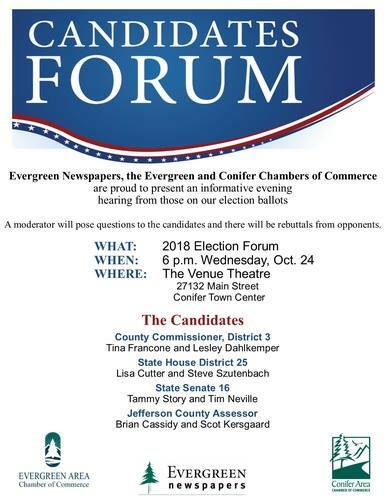 Join us tonight to hear from candidates for Jeffco commissioner, Jeffco assessor, House Dist. 25 and Senate Dist. 16. I hope to see you there! Local elections matter - a lot. But too often they're easily overlooked. County commissioners make decisions regularly that impact our quality of life - economic development, open space, roads, public safety, mental health, libraries, land use - and even education. We're not taking this race from granted. Far from it. And we hope you agree! 1) Phone bank w/ us either from the comfort of your home or at Jill Beery Fellman's house in Arvada on Friday from 10 a.m.-12:30 p.m. All you need is a charged cell phone! 3) Share this post and our Vote Lesley graphic today on your Facebook wall. A friendly reminder: it's too late to mail your ballot. 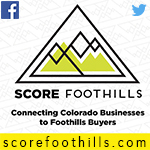 Please take your ballot to a drop off locations listed at votejeffco.com. The deadline for returning ballots is Nov. 6 at 7 p.m. Thank you! We’ve accomplished a lot together - thank you! A heartfelt thanks to everyone who has helped us phone bank, canvass, host meet & greets, write postcards and more. Thank you! We're working right up until 7 p.m. to earn your vote. Still need to vote? Check www.jeffco.us/elections for VSPC and drop-box locations. You knocked on doors and talked with voters. You wrote thousands of postcards. 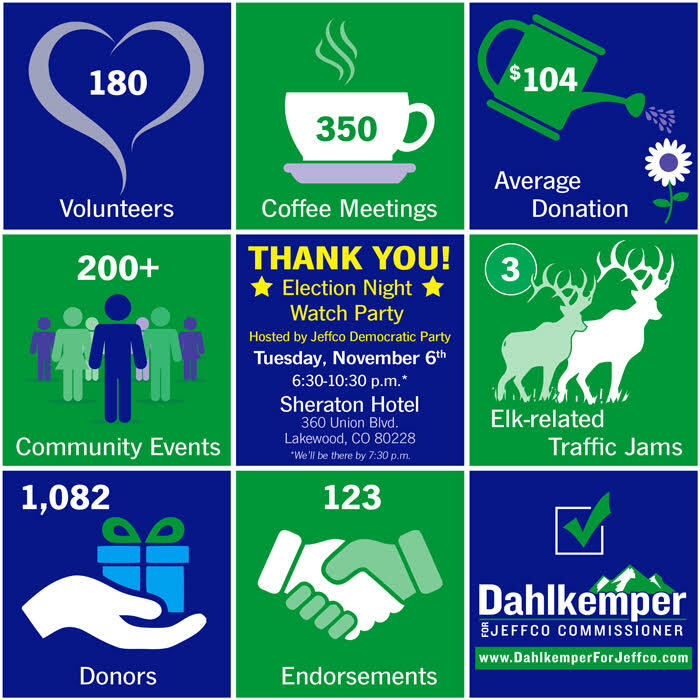 You donated – some of you monthly – so our message reached every corner of Jeffco. You phone banked with us and opened your homes to host meet and greets. You even stood in the slush and rain at 7:30 in the morning for a honk and wave. This historic win belongs to you! I’ll be proud to serve as your next Jefferson County Commissioner. I’d also like to take a moment to thank my opponent, Commissioner Tina Francone, for her dedication to Jeffco over the last several months. Running for office in a county this large is challenging no matter which side of the aisle you sit. I thank Tina for her commitment to Jeffco. My heartfelt thanks to our hard-working volunteers, our campaign advisory team including Commissioner Casey Tighe and former State Senator and long-time friend Norma Anderson, my friends and family and – most of all – my husband Mike Feeley and our daughter Grace. I couldn’t have done this without them! You have my promise that I’ll work tirelessly to listen to diverse points of view and find common ground to solve our most pressing issues. We have a proud tradition in Jeffco of working collaboratively. When we work together with integrity and heart, we’ll always find the best path forward.